For all our advancement as a species, we are unable to explain why humans behave irrationally. Why financial markets, for example, do their own thing like cartoon characters that remain suspended in thin air -- and do not fall down -- after they have clearly gone over the edge! Why does the equivalent of gravity not kick in for individual and collective human behaviour which can at best be described as irrational on some occasions, and on others, as bordering on the insane. Most of us are quite capable of ignoring fundamentals for a long time until they completely overwhelm us. Quantum cognition seeks to answer these fascinating questions whilst paving the way for advanced humanoid robots and multi-tasking software agents. We are notorious for this: humans don’t always make the most rational decisions. For example, even though we know that some of our actions could potentially damage the planet and its delicate ecosystem, we continue to ignore the warning signals and carry on as usual. Not for a moment do we stop to contemplate the consequences of our wasteful actions and their unintended consequences for generations to come. As studies have shown, even when logic and reasoning point in one direction, we often choose the opposite route, motivated by personal bias, active denial or simply “wishful thinking.” This paradoxical human behavior has resisted explanation by classical decision making theory for over a decade. But now, scientists have shown that a quantum probability model can provide a simple explanation for human decision-making -- and may eventually help to explain the triumph of "irrational" human cognition over "rational" logic. Cognition research has shown that words are stored in our memories not as isolated entities but as part of a network of related words. This explains why seeing or hearing a word activates words related to it through prior experiences and sensations. In trying to understand these connections, scientists visualise a map of links among words called the mental lexicon that shows how words in a vocabulary are interconnected through other words. However, it’s not yet clear just how these word association networks cascade into unpredictable actions. For instance, does word association spread like a wave through a fixed network, weakening with conceptual distance, as suggested by the “Spreading Activation” model? Or does a word activate every other associated word simultaneously, as suggested in a model called “Spooky Activation at a Distance” which borrows from the notions of "Quantum Entanglement"? Although these two explanations of "Spreading Activation" and "Spooky Activation at a Distance" appear to be mutually exclusive, various scientific studies reveal a connection between them by making one novel assumption: that words can become "Quantum Entangled" in the human mental lexicon. In one such prominent study, researchers from the Queensland University of Technology (QUT) in Australia and the University of South Florida in the US investigated the quantum nature of word associations and presented a simplified "Quantum Cognition" model of a mental lexicon. Words that are entangled with many other words have a greater probability of being recalled, while words that are entangled with few or no other words have a smaller recall probability. This follows in the footsteps of the pioneering thinking of Prof Roger Penrose. In his book, "Shadows of the Mind," Penrose expounds upon his previous assertions that human consciousness is non-algorithmic, ie, it does not work like a computer programming language. This places human consciousness into a mode where it is incapable of being modelled by a conventional Turing machine-type of Linear or Boolean digital computer. As a result, Quantum Cognition is increasingly simple to appreciate and rather less mysterious at an intuitive level for human beings. Simply put, it has to do with intuition and automatically determining the assumed algebraic structure of the inner world of ideas, concepts, and propositions. 3. Based on the work of the great Hungarian mathematician and philosopher John von Neumann it has become clear that at the heart of quantum mechanics is a new kind of probability theory based on ortho-algebras rather than Boolean algebras. This theory is more holistic in its embrace than the traditional -- Boolean-based -- probability theory. Interestingly, this new approach seems to be powerful enough to solve some hard puzzles known from standard approaches in the domains of rationality, logical thinking, and probabilistic reasoning. This opens new horizons for automatic decision making, cognitive modelling and their rational foundations. What we dismiss as "irrationality" from a logical perspective, is on many occasions our "intuition", which may access a much higher level of awareness. Where time bound logic points in one direction, the human mind can often go into non-timebound "intuition" that makes perfect sense from a "Quantum Cognition" perspective. This is what advanced artificial intelligence has to emulate to begin to come close to the complexity and so called "intuition" of the perfectly synchronised grand orchestra of the human mind. 1. This challenges our self-definition, which originates from and gives strength to the ego, identifying with and rooted in the space-time continuum. 2. Quantum Cognition allows access to the non-time bound atemporal reality of our cosmic and eternal Self-hood, which goes beyond the individual concept of the "self." 3. Depending on the level of consciousness, Quantum Cognition operates differently in each individual. Hence, each one arrives at their own conclusion on their level of perceived interconnectivity with all. 4. 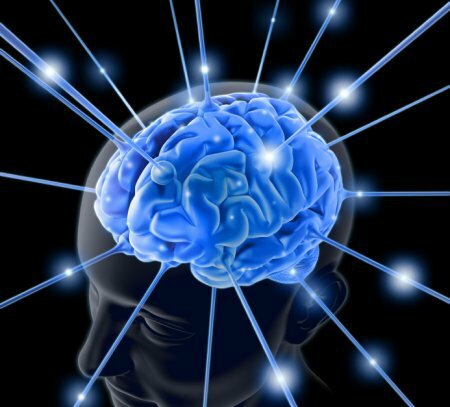 When Quantum Cognition is galvanised by higher levels of consciousness, the individual perceives others as closely bonded to their own self in an interconnected matrix, leading to such inexplicable phenomena as heightened empathy, mind reading and telepathy. 5. Quantum Cognition provides the ideal paradigm to understand the holistic nature of our thinking processes that perhaps led Cicero to his seminal observation in ancient Rome, more than two thousand years ago, "Omnia vivunt, omnia inter se connexa!" or "All is alive, all is interconnected!"